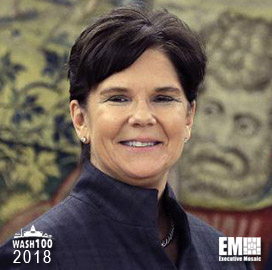 Executive Mosaic is honored to announce Phebe Novakovic, CEO and Chairwoman of General Dynamics, as an inductee into the 2018 edition of the Wash100 — Executive Mosaic’s annual selection of the most influential voices in the government contracting arena — for her outstanding leadership in driving General Dynamics’ profit performance. 2018 marks the fourth year that Novakovic has been inducted into the Wash100. 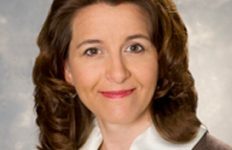 Under Novakovic’s leadership, General Dynamics has recorded year-over-year increases in earnings per share during the five years that she has held the role of chief executive. In 2017, General Dynamics shares were up $0.61 and revenue was up by $412 million. “All in all, 2017 was a very good year leaving us well position for 2018,” Novakovic said during the company’s Q4 2017 earnings call. Since the beginning of the new year, General Dynamics has been busy in the GovCon sphere, earning contract modifications on orders to assist in the maintenance of the U.S. Navy’s amphibious ships in San Diego, receiving a $118.3 million modification for work on the U.S. military’s C-20 and C-37 aircraft fleets, and securing a $1 billion contract to supply 227 infantry fighting vehicles to Romania’s armed forces. General Dynamics also announced its agreement to acquire CSRA for an estimated $9.6 billion on February 12th. 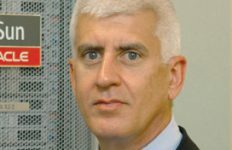 General Dynamics plans to create a combined information technology platforms provider in the government IT services sector upon the completion of the acquisition. 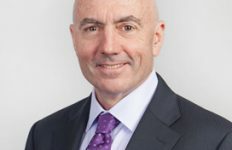 Novakovic said that the acquisition will help General Dynamics’ IT business expand its client base and capabilities as well as provide an opportunity to deliver IT platforms services to the intelligence, defense and federal civilian sectors. 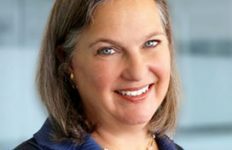 She added that the combined company will have approximately $9.9 billion in revenue and double-digit earnings before interest, taxes, depreciation and amortization margins. Novakovic was nominated to No. 15 on Forbes’ Businessperson of the Year for 2017 and No. 48 in the publications’ 2017 list of The 100 Most Powerful Women in the World, and is ranked on Fortune magazine’s 2015 Most Powerful Women in Business list. Executive Mosaic congratulates Phebe Novakovic and the General Dynamics team for their selection to receive this award.